Wireless charging has been around for more than a quarter of a century, but only over the past decade did smartphone manufacturers begin offering it natively in their handsets. In 2012, Nokia was the first to adopt the Qi-based wireless charging in its Lumia 920 phone. The Qi specification, the industry's most popular, allows for power transfer ranging from 5 watts to 15 watts in the latest v1.2 release. Apple chose 7.5W of power transfer for the new iPhone 8 and the upcoming iPhone X. Why Apple chose a slower version of wireless charging than the latest Android smartphones, which offer 10W of charging power, is unclear. But the cost of components could be one factor. The black coil at the center of the iPhone's glass case is the wireless power receiver. The cost of wireless charging components rises in tandem with the power level, according to Menno Treffers, chairman of the Wireless Power Consortium, which oversees the Qi wireless charging standard. Safety measures also become more expensive with increasing power levels. The speed of wireless charging depends on what a particular brand of smartphone has been configured to receive. If the wireless charger can deliver 15W and the phone can take only 5W, the 15W charger will not be faster than a 5W charger. If the phone can take more than 5W, it will charge faster on a 15W charger. In other words, even if you purchase a Qi-based wireless charger that can charge at 15W, an iPhone 8 or X will only accept half that power. 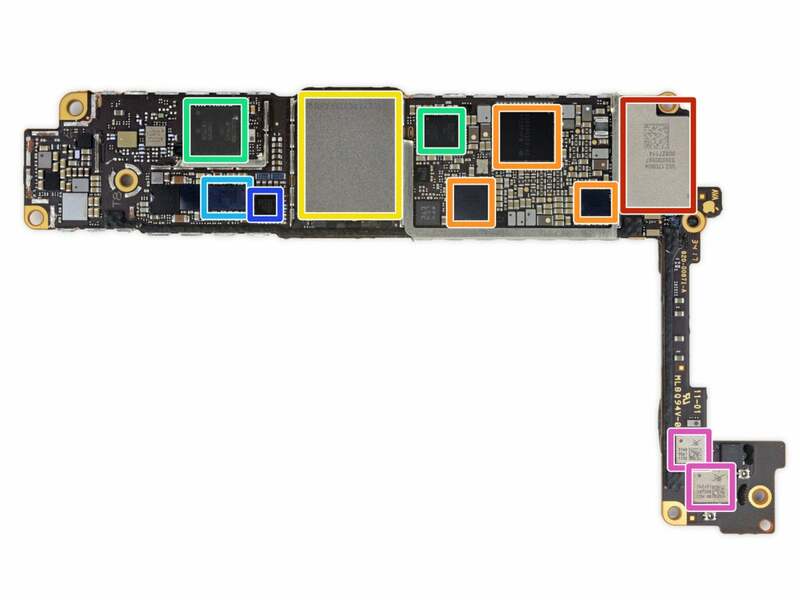 The light-blue square to the left on the board is Broadcom's 59355 wireless charging integrated circuit, which controls the power transfer. The new iPhone 8 and 8S phones use the older 1.1 Qi wireless charging standard developed under the Wireless Power Consortium (WPC); it supports 7.5W (5V/1.5A) wireless charging. Apple has designed its own charging pad, called AirPower, that will be available next year. That charging pad will have a large, oblong area allowing up to three devices, including Apple Watch Series 3 and AirPods in their charging case, to power up at the same time. 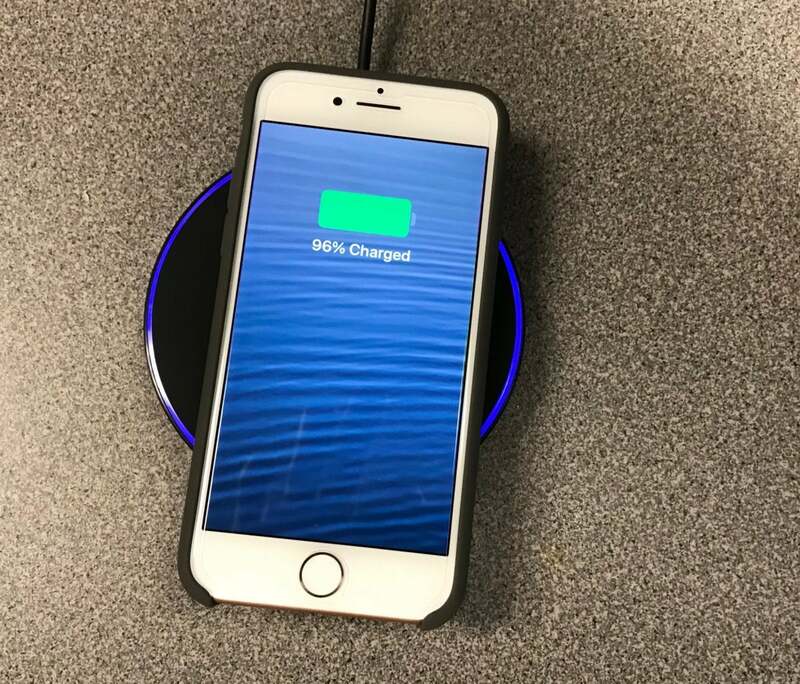 A Computerworld reporter with a new iPhone 8 purchased an Insignia wireless charger, capable of dispensing up to 15W of power. But the iPhone 8 will only receive 7.5 of those watts. The pad easily works through a thin iPhone silicon case, but it still requires the phone to be placed rather specifically in the center of the 3.75-in. diameter disk. If the phone is askew more than an inch or so, the charging stops. Another explanation may be that Apple was concerned with heat. The Qi-specification is inductive, not resonant, charging – meaning it requires relatively tight coupling between a transmission and receiver coil. Owners of the Apple Watch have probably noticed that after charging, their devices are warm, which is likely due to the nature of inductive charging. 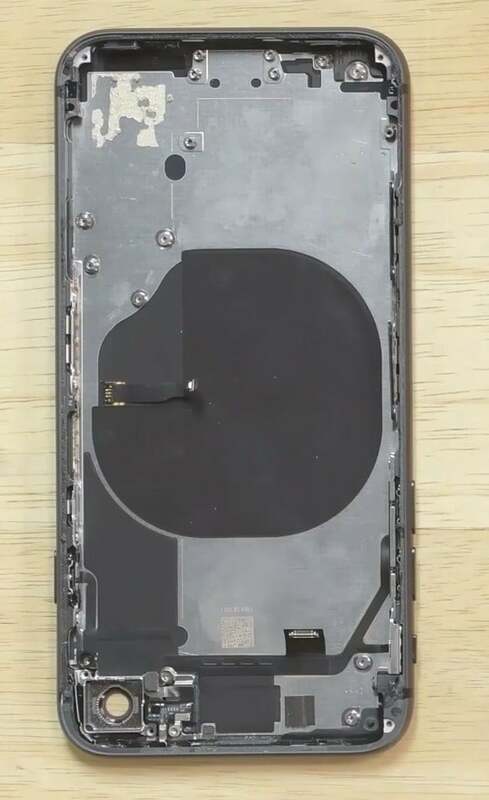 Stofega said Apple could have been wary of the same kind of misfire Samsung experienced last year with its Galaxy Note 7, which had to be recalled because batteries were catching fire. The Android Galaxy S8 uses a 11.55W/hr lithium-ion battery; the iPhone 8 uses a 6.96W/hr lithium ion battery, which is similar to what the iPhone 7 used. 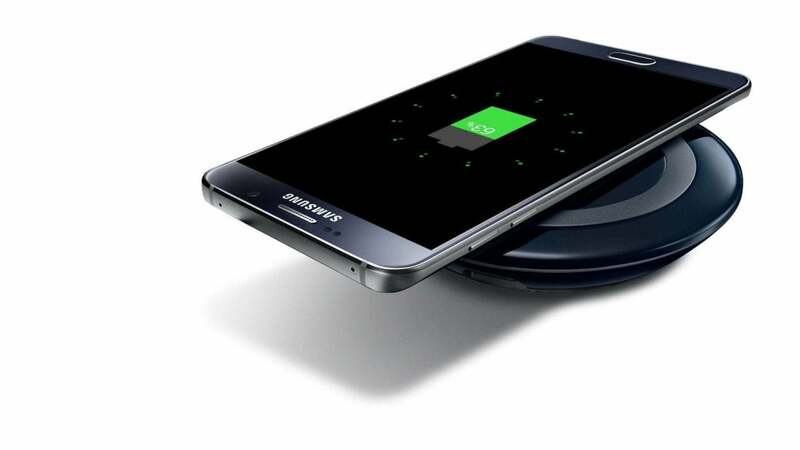 A Galaxy Note 5 on a wireless charging puck. "I think that's [still] a pretty big battery and you'd think they'd want to crank up the charging rate, but there's a downside to that where you may get a runaway event," Stofega said. "And, that's the last thing that want on their premium device – a picture of a burned-up iPhone." Samsung first introduced Qi-based wireless charging with the Galaxy Note 5. With the Galaxy Note 7, Samsung introduced Qualcomm's Fast Wireless Charging, which enabled 10W of power transfer – 1.4x faster than standard wireless charging transmitters – and recharged the phone 50 minutes faster than previous models. At that rate, the phone can go from no charge to fully charged in 2.5 to 3 hours. The Fast Wireless Charging feature is backward compatible with Galaxy Note5, Galaxy S6 edge+ and later models. Fast Wireless Charging is based on version 1.2 of the Qi specification, which was announced in 2014 and enabled power transfers up to 1.2-in away from the coil (30mm) and a charging capacity of up to 15W. More than two dozen companies make wireless charging transmitters, receivers and charging pads that support 15W fast charging, from Belkin and Toshiba to LG and Zens. Apple may eventually upgrade to magnetic resonance technology, which would allow charging over greater distances; that, in turn, would allow chargers to be under-mounted on desktops. "They have hinted at that," Stofega said. In July, Dell released a Latitude laptop that incorporated resonant wireless charging from WiTricity, a Watertown, Mass.-based company that licenses its technology – originally garnered from M.I.T. The Dell wireless charging technology offers up to 30W of charging power, so a Latitude laptop will charge at the same rate as it would if it were plugged into a wall outlet. On the left, a more centered iPhone 8 recieves power from an illuminated wireless charging pad. 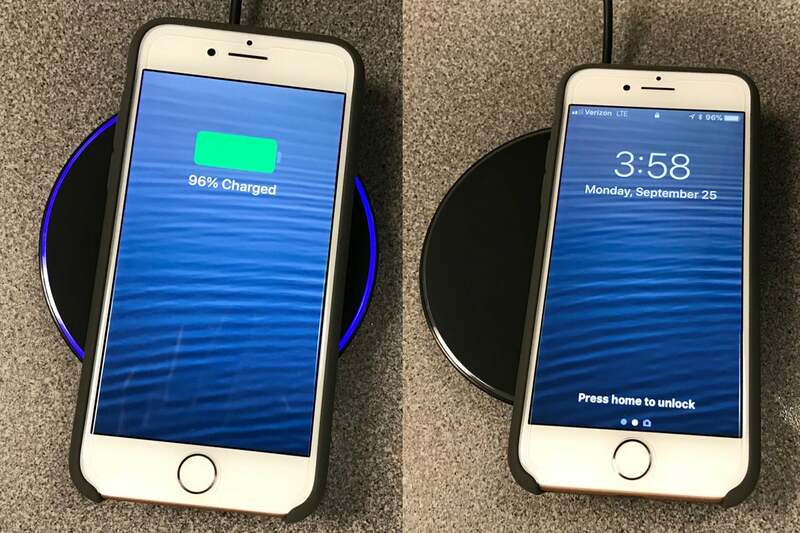 On the right, a slightly askew iPhone 8 cannot connect to the wireless charger. WiTricity's bailiwick is the automobile industry. Over the next several months, you can expect to see electric car manufacturers announcing wireless charging for their vehicles, according to WiTricity CEO Alex Gruzen. The magnetic resonance technology allows power to transfer at up to 25 centimeters away from a charging pad. "The design is built around one common charger on the ground that can cover a sports car, a sedan or an SUV," Gruzen said. Apple's decision to finally add wireless charging to its iPhone line will bring more attention to the technology and the fact that it's becoming more ubiquitous, Gruzen said. Still, Apple was slow to embrace a technology that's been around "for a while," Gruzen said. "I've always felt when you introduce a technology, you want to get rid of the 'Yeah, but' factor," Gruzen said. For example, Gruzen pointed that Qi-enabled chargers require relatively precise placement of mobile devices before they'll start charging. He also said some Qi-enabled Samsung smartphones with wireless charging have experienced trouble working through heavier phone cases. "Apple chose Qi and there's an infrastructure to support that to some extent, but the market has also voiced frustration...with it," Gruzen said.